If you have ever wanted to replicate the content of a DVD onto another medium, you might have failed to find an easy solution. Moving the content from DVD to other sources means ripping, and ripping is not as easy as it seems. To perform operations like converting a DVD to video/audio files in different formats, you need a tool that does the job very well. When it comes to finding a good tool, you will come across plethora of softwares and solutions, but the luck backs out when none of those tools work according to your expectations. Luckily, we have one tool which actually works, and the tool is Leawo DVD Ripper. The tool can tear down your DVD into a audio and video files in formats like MKV, MP4, AVI, FLV, RMVB and many other such formats. Not only it can convert the DVD into different formats, it can also make the files compatible with your smartphones and tablets powered up with Android and iOS platforms. The software comes with an in-built video editor which can bring your desired customisations in the video. A 3D movie creator is a part of the tool which can add beautiful 3D effects in your videos. Leawo DVD Ripper also gives you the control to select subtitles from audio tracks of your choice. Leawo DVD Ripper supports over 180 formats of audio and video, to which it can transform your files. 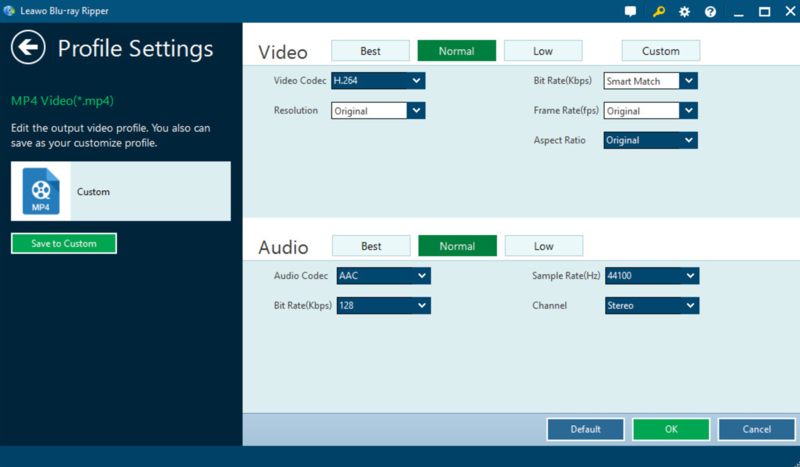 Users can select what specifications do they want to add to their converted audio and video files. It’s very easy for this ripper to break down any kind of encryption. It doesn’t matter what kind of DVD’s you are trying to rip, Leawo DVD Ripper will return good results. With the video editing tools, you can compress the size of the video, trim down its length, adjust the graphics and visuals, also set the volume and even add a watermark. Converting your videos from 2D to 3D has never been this simple before. Leawo brings the ease of use for its users. It doesn’t require one to be a videographer or graphic maestro, all you need to do is to read up the instructions and start using it. The tool is self explanatory and quite flexible. At the moment, Leawo costs $29. You can try its trial version and see if its worth spending 29 bucks. A special Xmass offer is going on in which the company has several of its products up for sale. DVD Ripper will only cost you $17.97 in this promo. Have a look at Leawo DVD Ripper Christmas promotion page for further info. That’s all for now. Let us know if you have already used this tool. What’s your say on it?